This is hard in some ways and easy in others. Hard because I’ve put so much of myself into this space, yet easy because I have not put enough. There are so many things about me that I haven’t shared with all of you. My faith in Jesus and my family & everyday life being just two of them. I guess that’s ok, I mean this is a food blog after all. However, as time goes by those other parts become a bigger and bigger part of me and I’ve come to the realisation that I’ve been living too much on the internet and not enough in life. My passion for food has become stifled by blog posts and photographs. Although I do still love these things, my food journey has focussed on them instead of on the reason that I first loved food. To revel in the process of creating food that will make those I love happy. Having come to this realisation, I’ve decided to take a step back. I’m not sure what the outcome will be, but it seems a necessary step on the bigger road of my life. Giving my passion for food time to develop on it’s own terms and allowing my identity to be shaped by the other things in my life. Perhaps not… we’ll have to wait and see. This month’s challenge was a nice & easy one. Perfect for my schedule as work is manic at the moment. Quick Breads are great as they’re so versatile. 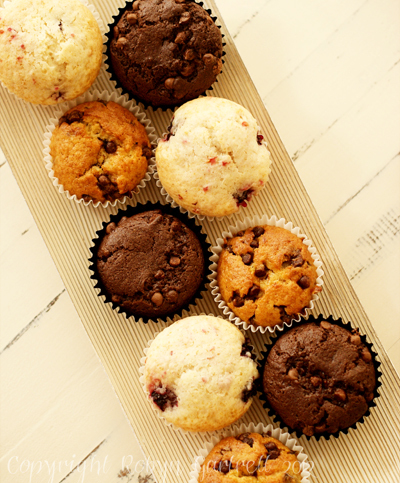 Loaves and muffins and all the different flavour combinations you can come up with. I came up with a few, I couldn’t help myself. Banana Chocolate Chip, Vanilla & Mixed Berry and Double Chocolate. We only have time for one recipe today but the rest will come. Preheat the oven to 180°C / 350°F and grease a muffin tin with cooking spray or place muffin cases in place. Sift together the flour, baking powder & cocoa powder and add the castor sugar. Set aside. Mix together the eggs, vanilla, canola oil and milk. 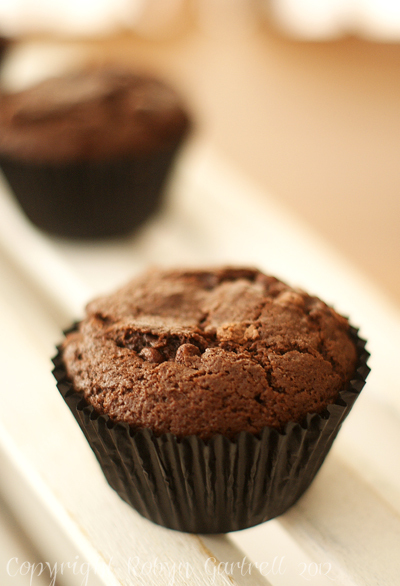 Fold in the chocolate chips and divide between the cups of the muffin tin. Bake for 20 – 25 minutes, until the tops spring back when lightly pressed with your finger tips. Allow to stand for 5 minutes, then remove to a cooling rack to cool completely. You know those days where you have everything, but nothing occupying your mind? I’m having one of those days. I’ve started to write this post four times already with no luck. The last time had me looking back on a string of adjectives (nonsense really) without memory of writing it. It’s not often that such things completely consume my mind, but I’m seconds away from philosophizing about life’s troubles (which I’m sure you didn’t come here to ponder) so instead, lets just have scones. You o.k with that? I hope you are. 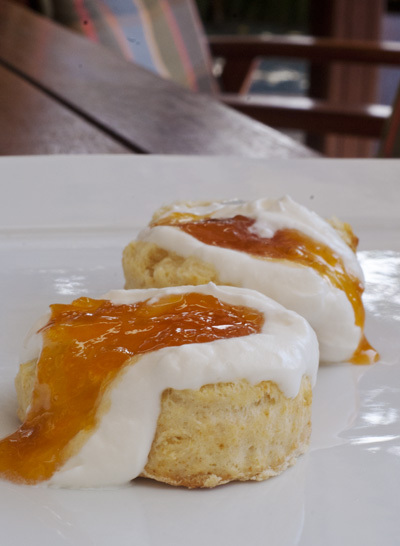 These are some excellent scones. In the next few minutes, scones trump troubles. He did a terrific job with this recipe. Quick and easy and oh so good. Well it seems Summer has finally arrived. I can’t say I’m too happy about that weather wise. Nearly reached 40°C/104°F today. Luckily I was off from work which meant I could chill in the pool and generally just laze around. I did spend a bit of time in the kitchen making sorbet and popsicles though (the part I am happy with about Summer). 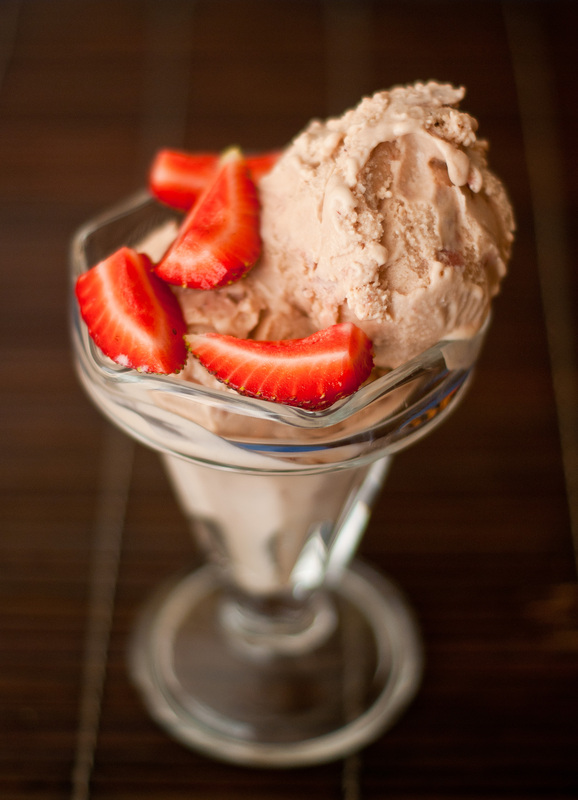 So to celebrate the happy parts of Summer, we’re having ice cream (what else?). Pre-heat the oven to 150°C/300°F. Hull and slice the strawberries into quarters. Place into a roasting pan and sprinkle the balsamic vinegar and 45 ml castor sugar on top. Roast for 30 – 40 minutes until strawberries are soft and have darkened in colour. Remove from the oven and mash them lightly with a fork. Transfer to a separate bowl and chill in the fridge until needed. Whisk the egg yolks and 1 cup of castor sugar together in a medium bowl and set aside. Place 1 cup of cream into a large mixing bowl and set a strainer on top. Set aside. Combine the 2 remaining cups of cream and the milk in a small saucepan. Heat over medium heat until just simmering. Add the hot milk mixture to the egg mixture a little at a time, stirring constantly. Pour back into the saucepan and cook over low heat, stirring constantly, until the mixture thickens and coats the back of the spoon. Strain the mixture into the set aside cream and stir to combine. Add the chilled strawberry mixture and stir to combine. Chill in the fridge for at least 12 hours. Churn in an ice cream machine according to the manufacturer’s instructions OR place into a freezer bowl and chill for 1 hour. 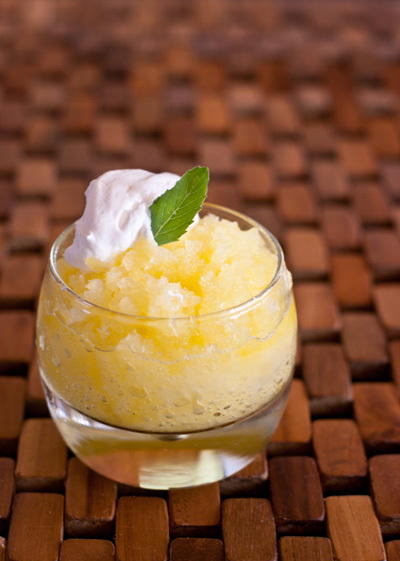 Remove from the freezer and beat with an electric beater until smooth. Return to the freezer and take out to beat every 30 minutes until the ice cream is thick and smooth (soft serve consistency). Return to the freezer until ready to serve. Serve with: Chopped strawberries macerated in balsamic vinegar or chocolate sauce. Well, Merry Christmas! :) But also.. 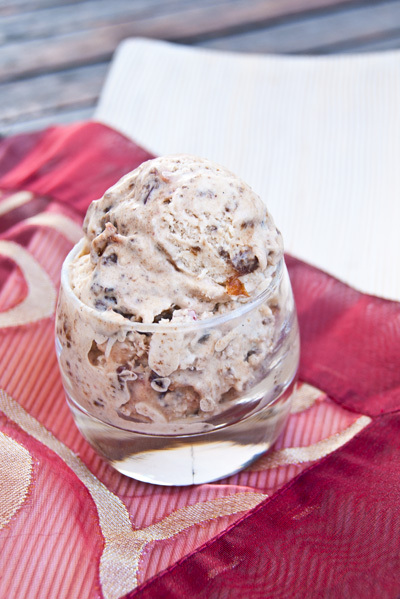 Check out what you can do with leftovers… Christmas Pudding Ice Cream. Yeah probably the only way I will eat it. Sorry to all of you who love the stuff but I just can’t do it. This however, is not half bad. I ate two scoops and I enjoyed them which (trust me) says a lot. 1. Don’t feed your leftover christmas pudding to the dirt bin. Or the dog. 2. Crumble said christmas pudding into a bowl and pour a little brandy over the top. Allow it to soak it up for a few minutes. 3. Stir said christmas pudding into some slightly softened vanilla ice cream (homemade or store-bought) and re-freeze. 4. Well, there is no step 4. It’s that easy. December is always crazy around here but I didn’t expect to be away from you guys for this long. Damn but I am exhausted. Work is going so well that I barely have time to sit down let alone check my emails. Everyday I come home with bruised (or so it seems) heels and burning eyes but honestly, who’s complaining? I’m loving every second of it. We’ve got just over twenty weddings coming up in the next 2 weeks and prep for next year (wow that sounds weird) and trying to keep a million things in my head (with Christmas planning on top of it all) is taking its toll. I tend to become a type of hermit during times such as these. With regards to technology that is. I don’t know why, but some days I just can’t bear the thought of turning on the TV or picking up my laptop. Technology seems to further clutter my already cluttered mind. Lately, instead of my morning and evening internet sessions, I find myself reaching for a cup of tea and my bible instead. I’m planning on keeping that habit but when things slow down I’m excited to get back into blogging more often again. Hope you’re all having an awesome December!